Typical: Democrats Form Tax Exempt Organization To Lobby… FOR HIGHER TAXES! Illinois Democrats have formed a tax exempt organization to lobby Illinois voters to approve higher taxes! Think Big Illinois, a group backed by Democratic Gov. 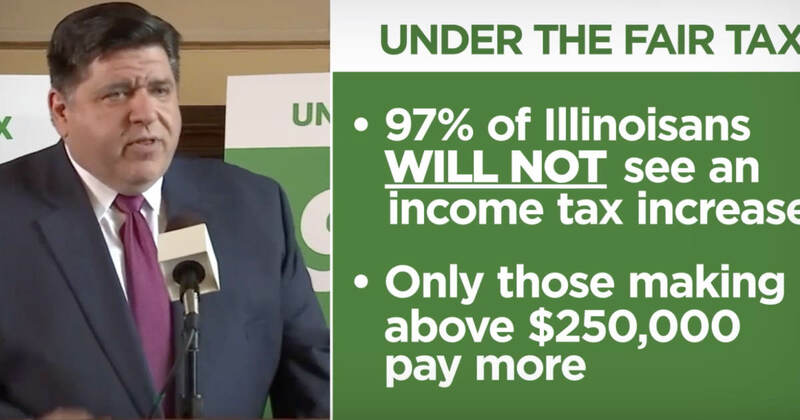 J.B. Pritzker, who is pressing for the graduated tax to replace the state’s current flat-rate income tax, was first on the TV airwaves and cable with a half-minute ad defending the change and the potential to raise billions from people with higher incomes. Think Big is a tax exempt outfit. Think Big Illinois is a tax-exempt group that said it will report its donors when it’s required to file documents with the IRS.